We recognize many people have anxiety about discomfort and pain they have experienced in the past in the dentist’s office. We are committed to ensuring that our patients feel comfortable and relaxed during every dental procedure we perform. At the heart of everything we do is our service commitment to our patients. Our goal is to provide a better patient experience than you’ve ever had. That philosophy starts with the warm, friendly smiles of our staff, to the cozy waiting room complete with complimentary coffee, to the special features we utilize to keep our patients comfortable during their treatment, including warm blankets and sun filled windows in each exam room. For patients who suffer from dental anxiety, we offer nitrous oxide (sometimes called laughing gas). Nitrous oxide is a safe method of sedation which allows patients to breathe on their own and recover quickly once the procedure is completed. Also referred to as “the wand”, the single tooth anesthesia system allows the slow and steady delivery of the numbing agent directly to the problematic tooth resulting in less pain and anxiety during and before dental procedures. The computer-controlled device controls the pressure and the flow-rate of the injection for an overall more comfortable patient experience. The wand is great for children, too. OraVerse reverses the effect of the local anesthetic used during dental procedures. Our patients no longer have to experience the lingering effects of a numb jaw, palate, lip or tongue. We love being able to offer an option to reduce discomfort throughout the day. Making periodontal (gum) procedures easier is necessary when our mission is to provide you with the best patient experience possible. The laser technology is also used in smile redesign procedures. If you experience anxiety in our dental office, we have a special friend that can accompany you during your treatment, Marley. 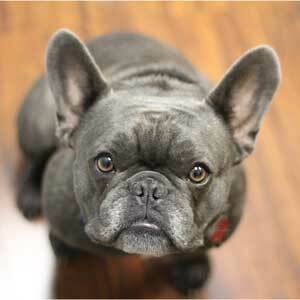 Sweet Marley is our French Bulldog and a Therapy Dog in Training. “It is no secret that most people fear going to the dentist and my goal has been to change the negative perspective of the stereotypical dental office. Dentistry has come a long way! Having a therapy dog at my practice has been imperative and I honestly didn’t realize the impact it had until Buster, our first therapy dog, passed away. The JRFD Team and all of my patients’ mourned his loss. The practice just wasn’t the same as patients really looked forward to seeing Buster. Marley knows just what to do for patients and provides an excellent source of TLC! The first step toward a beautiful, healthy smile is scheduling an appointment. Please contact our office at 804-323-4200 or complete the online appointment request form below. Our scheduling coordinator will contact you to confirm your appointment.